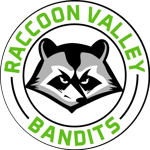 The Registration "RVLL Bandits Baseball" is not currently available. Teams: A & AA teams at ages 9, 10, 11, 12 (11-12 players per team) Age cut off for USSSA is May 1st. However old your player is on May 1st is the age of eligibility for 2019. This date is different than Little League. It is possible to play Little League as a 13 year old, for example, and be eligible for 12U USSSA baseball. Click here to check your players 2019 age eligibility. You are more than welcome to tryout for an age bracket above. Tryout Dates: Tryouts will be held at Raccoon Valley Little League on Sundays in October (7th, 14th, 21st). Tryouts are from 2-5 pm and are broken into two 90 minute segments: 2:00-3:30 for 9u/10u and 3:30- 5:00 for 11u/12u. There is a rainout day scheduled on November 4th at the U in Grimes if needed (Time TBD). All players are required to tryout. The goal is to field 2 teams at each age group for levels A and AA this year. 2019 Training Dates: All teams will practice for one hour on Sundays between January and March at the U in Grimes, Iowa. Training dates are as listed below with ages. League Play: All players who make the 2019 Bandit teams will also be placed in the RVLL competitive leagues at their appropriate Little League ages. All competitive teams at RVLL play “week day” only seasons for ages 9-13. The fees for Little league will be a part of the price structure of the Bandits for the 2019 season. Tournament Play: Ages 10, 11 and 12 will play 6 tournaments this season and 9u will play 5 tournaments this year. The goal is to wrap up all tournaments prior to the Little League All Star Season. Players selected via tryouts will be notified by coaches in early November and will have 48 hours to accept and make full payment or set up payment plans. After 48 hours, any player who has not made a financial commitment will be removed from rosters and the remaining players will be dispersed accordingly amongst the teams. Refunds will not be given past 01/01/2019. Bandits Baseball is looking for coaches for one 9u team, two 10u teams, and one 12u team. Parents who volunteer as head coach of a team will receive a $75 credit towards their registration fees. RVLL board members will be available to help assist any coaches with coaching, practice plans, rules, etc throughout the season and will be present during off season training as well. Practice times during the season will be a priority after competitive team practices. We are coordinating field schedules for the upcoming year to offer standing “developmental” nights at the park for all Bandit players. We will focus on hitting, throwing, catching, pitching and base running in specific stations and drills run by Bandit coaches and outside baseball instructors. Returning Bandit players will not be guaranteed spots on their teams from last year. We will form teams based on tryout results and not existing player/coach relationships or arrangements. Our goal is to place kids on teams in the appropriate competitive levels within USSSA.